First I fell in love with a sandwich, now a set of sheets. 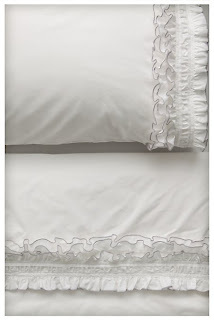 I love just about anything from Anthropologie, but these ruffl-ey sheets are to die for! If only I was ready to drop $150 on a set of sheets (300 thread count at that). Still, I will dream of dreaming in these sheets.